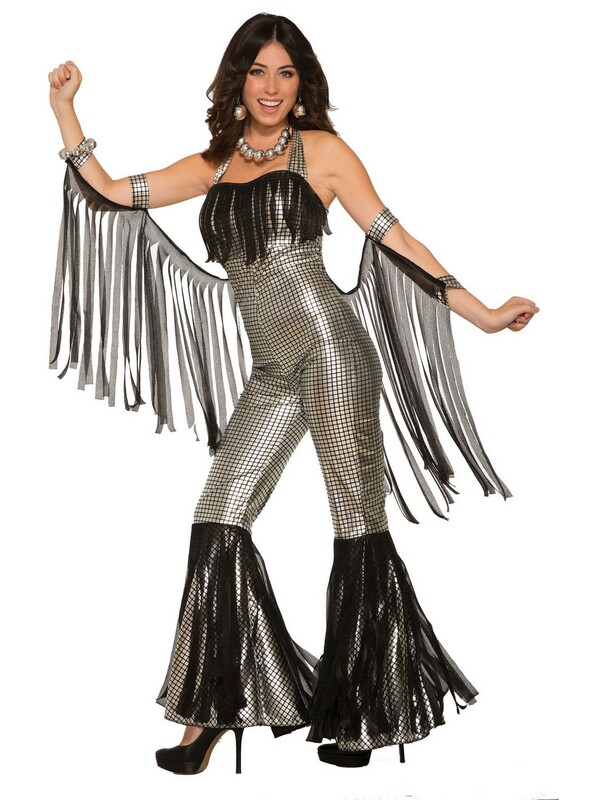 Be the ultimate dancing queen when you wear the Womens Disco Queen Silver Jumpsuit! Do the Hustle all night long in this metallic silver and black jumpsuit adorned with black fringe. The matching arm cuffs will swirl while you dance, so show off your moves and enjoy being the center of attention!